Why should you add beads to your home furnishing collection? Because they make everything look good! You can add beads to curtains, pillows, cushions, blankets, comforters, and more. For some reason, beads have this amazing effect on anything you place them on. Everything just looks extra stellar with them. Your home furnishing collection includes dark colors, but you want to add a hint of brightness to it. You can do that by creating a pattern using beads. Let’s say that you have a chosen a chocolate colored fabric for the pillow. You will use gold or yellow or a combination of both to create a floral pattern on the pillow. If your home furnishing collection includes a white colored coffee table, you can add copper colored beads around and on top of it. In short, you are covering every inch of the table with it. This design would look good on a round coffee table rather than a rectangular or square one. If you want to create a specific pattern using beads, you can do that as well. You can give the table a delicate touch. This beading style you can do with other shapes too. If you are going for a contemporary look, you can add beads to make it happen. You can add beads to tables, mirrors, and lamps. You can even add them to the sides of chairs. Since a wide range of colors are available, you can choose vibrant colored beads depending on the base color you have chosen. When it comes to adding beads to your home furnishing collection, there is no threshold. If you want to create a detailed pattern or a fun pattern, you can do so with beads. You can even combine different types of beads together to create a design. Choose from various sizes and colors or combine various sizes and colors together to create something original. What do you say you call us to ask us how we can make your home furnishings look extra stellar? Apart from clothing designers, we receive orders from clients with home furnishing collections, which need a hint of beads here and there. 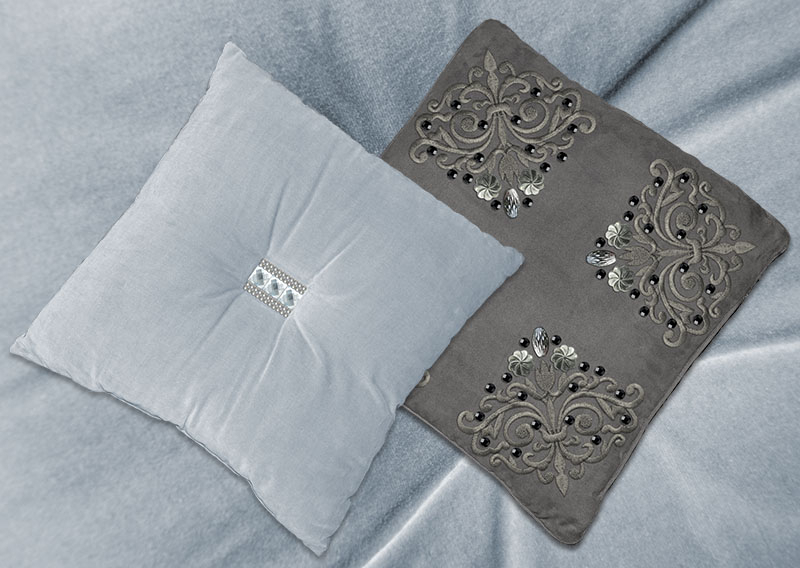 Our patented beading technique allows us to add beads to your home furnishing collection. You can ask us what type of home furnishing items we can add beads to. Another plus is that we are based in New Jersey. This means our turnaround time will be less than if you sent your home furnishings to another country such as China. If you want your home furnishing collection all beaded and looking fine, contact us today. Let’s make it happen!